Immune thrombocytopenia (ITP) related to Mycoplasma pneumoniae infection is a rare condition and usually associated with a severe clinical course. We here report a case of a young man with a clinical diagnosis of severe ITP secondary to M. pneumoniae infection. The clinical features, therapy and outcome are presented. Kottayam R, Rozenberg G, Cohn RJ. Unusual haematologic manifestations of Mycoplasma pneumoniae infection. J Paediatr Child Health 2007;43:80–82. Cines DB, Blanchette VS. Immune thrombocytopenic purpura. N Engl J Med 2002;346:995–1008. Biberfeld G, Norberg R. Circulating immune complexes in Mycoplasma pneumoniae infection. J Immunol 1974;112:413–415. Tsai YM, Lee PP, Liu CH. A case of primary atypical pneumonia complicated with severe thrombocytopenia. Taiwan Yi Xue Hui Za Zhi 1985;84:742–746. Miller SN, Ringler RP, Lipshutz MD. Thrombocytopenia and fatal intracerebral hemorrhage associated with Mycoplasma pneumonia pneumonia. N Y State J Med 1986; 86:605–607. Veenhoven WA, Smithuis RH, Kerst AJ. Thrombocytopenia associated with Mycoplasma pneumoniae infection. Neth J Med 1990; 37:75–76. Beattie RM. Mycoplasma and thrombocytopenia. Arch Dis Child 1993; 68:250. Pugliese A, Levchuck S, Cunha BA. Mycoplasma pneumoniae induced thrombocytopenia. Heart Lung 1993;22:373–375. Isoyama K, Yamada K. Previous Mycoplasma pneumoniae infection causing severe thrombocytopenic purpura. Am J Hematol 1994; 47:252–253. Venkatesan P, Patel V, Collingham KE, Ellis CJ. Fatal thrombocytopenia associated with Mycoplasma pneumoniae infection. J Infect 1996; 33:115–117. Scimeca PG, James-Herry AG. 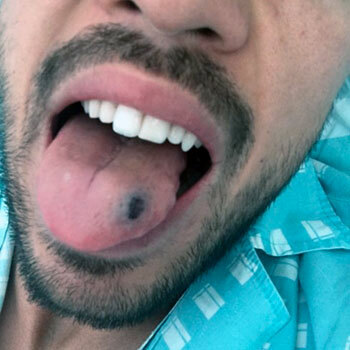 Severe, acute thrombocytopenia complicating Mycoplasma infection. Pediatr Hematol Oncol 1994;11:557–559. Aviner S, Miskin H, London D, Horowitz S, Schlesinger M. Mycoplasma pneumonia infection: A possible trigger for immune thrombocytopenia. Indian J Hematol Blood Transfus 2011;27:46-50.